Bergamot essential oil is an essential oil commonly used in aromatherapy. Extracted from the peel of Citrus bergamia (a type of citrus fruit), bergamot essential oil is said to offer a variety of health benefits. In addition, bergamot essential oil is said to enhance mood, reduce stress, stimulate circulation, improve digestion, and alleviate pain. Bergamot essential oil may help alleviate anxiety, according to a study published in Phytotherapy Research in 2011. 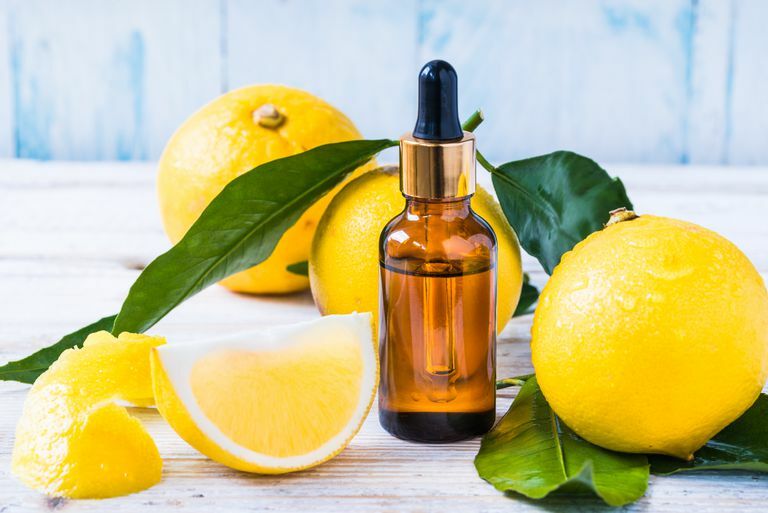 In tests on rats, the study's authors determined that treatment with bergamot essential oil helped decrease anxiety and reduce levels of the stress hormone corticosterone. In a 2003 study published in the Journal of Clinical Oncology, however, researchers found that inhalation of bergamot essential oil failed to reduce anxiety in people undergoing radiotherapy for the treatment of cancer. Involving 313 patients, the study also found that lavender essential oil and cedarwood essential oil weren't effective in easing anxiety during radiotherapy. In a 2009 study from the Journal of Alternative and Complementary Medicine, researchers found that inhalation of bergamot essential oil may help reduce stress and promote relaxation in healthy individuals. For 15 minutes, 114 healthy college students either listened to soft music, inhaled bergamot essential oil vapor, listened to soft music while inhaling bergamot essential oil vapor, or did nothing to alleviate stress. Results revealed that both music and bergamot essential oil helped increase activity in the parasympathetic nervous system (the branch of the central nervous system involved in promoting relaxation, slowing heart rate, and lowering blood pressure). In addition, a 2011 study published in Natural Product Communications found that incorporating a combination of lavender and bergamot essential oils into massage therapy may help lower stress levels and improve mood. Bergamot essential oil shows promise in the treatment of dermatophytoses, a fungal infection commonly known as ringworm. In a 2007 study published in the Journal of Antimicrobial Chemotherapy, tests on several common species of dermatophytoses-causing fungi found that bergamot essential oil may possess anti-fungal properties. When combined with a carrier oil (such as jojoba, sweet almond, or avocado), bergamot essential oil can be applied directly to the skin or added to baths. Bergamot essential oil can also be inhaled after sprinkling a few drops of the oil onto a cloth or tissue (or by using an aromatherapy diffuser or vaporizer). It's important to note that bergamot essential oil should not be taken internally without the supervision of a health professional. There's some concern that applying bergamot essential oil to the skin may increase your sensitivity to ultraviolet light emitted by the sun and — as a result — raise your risk of skin cancer. When using bergamot essential oil on your skin, it's crucial to protect against ultraviolet light exposure by applying sunblock. Essential oils should be diluted in a carrier oil before being used topically. When using essential oils, there's always the risk of contact sensitivity. A skin patch test is recommended prior to using any new essential oil. The oil should not be applied at full-strength to the skin or used in excessive amounts. Widely available for purchase online, bergamot essential oil is sold in many natural-foods stores and in stores specializing in self-care products. Due to the limited research, it's too soon to recommend bergamot essential oil as a treatment for any condition. It's also important to note that self-treating a condition and avoiding or delaying standard care may have serious consequences. If you're considering using bergamot essential oil, make sure to consult your physician first. Graham PH, Browne L, Cox H, Graham J. "Inhalation aromatherapy during radiotherapy: results of a placebo-controlled double-blind randomized trial." J Clin Oncol. 2003 Jun 15;21(12):2372-6. Hongratanaworakit T. "Aroma-therapeutic effects of massage blended essential oils on humans." Nat Prod Commun. 2011 Aug;6(8):1199-204. Peng SM, Koo M, Yu ZR. "Effects of music and essential oil inhalation on cardiac autonomic balance in healthy individuals." J Altern Complement Med. 2009 Jan;15(1):53-7. Sanguinetti M, Posteraro B, Romano L, Battaglia F, Lopizzo T, De Carolis E, Fadda G. "In vitro activity of Citrus bergamia (bergamot) oil against clinical isolates of dermatophytes." J Antimicrob Chemother. 2007 Feb;59(2):305-8. Saiyudthong S, Marsden CA. "Acute effects of bergamot oil on anxiety-related behaviour and corticosterone level in rats." Phytother Res. 2011 Jun;25(6):858-62.